Ultimate control over the viscosity of your products! Control the viscosity of your products with Floraplex’s all natural, nearly flavorless and odorless Terpene Diluent liquefier! Oil soluble, providing incredible control over the terpene and essential oil blends in your products. Floraplex’s proprietary diluent technology is the answer to liquefying and cutting your winterized products, as well as dissolving product isolates! To achieve your desired flavor and aroma when using diluents from other companies are you forced to add more terpenes than you would like? Look no further! Floraplex’s Terpene Diluent allows you to control product viscosity without losing control of product flavor. Converts viscous, winterized products into room temperature free-flowing oil without affecting color, flavor, or aroma. Mixes completely with winterized products from alcohol, hydrocarbon, and supercritical CO2 extraction systems without separation. Increases clarity while staying in solution without additives or emulsifiers. Use of our Terpene Diluent with unwinterized products is not recommended due to varying amounts oil insoluble lipids and waxes in the products. If you choose to use it for that purpose please do small batch tests first. The suggested starting application rate for use with winterized products is 5-10% (w/w) of the product’s mass. However, application rates upwards of 20% (w/w) of the product’s mass works well for greater dilution of products. Completely dissolves upwards of 20% product isolate per gram of diluent – allowing for easy combination with winterized products to achieve specific ratios. Specific recommendations can be found in our Terpene Mixing Calculator page. Formulated and manufactured with precision, our Terpene Diluent ensures consistent results and with every use. We have a very active thread discussing all things Floraplex Terpenes and general terpene knowledge, usage, etc. So, for the sake of the site and its topic organization, please use the thread Floraplex Terpenes for general discussion. Discussion of our Terpene Diluent and the free sample giveaway is welcome here. nice use of the word diluent!! And thanks for the R&D and announcement! Going to give a try ! So far, I dont like any diluents, and I try TT Luquify (the best, but not enough good), Tec Temper (Dont like the taste), Trinity Terpenes Dilluant (MCT), Terp Store (also MCT). Very nice guys what is the stuff made from? Terpene blend? Squalene? Excellent! I’d be interested in your opinion after trying our new Terpene Diluent. It’s a proprietary terpene blend that is flavorless and odorless. And as far as we know, our new 100% natural technology is unlike anything that has been created and released thus far by any of our competitors. We tried to make a product to solve all problems, like CBD crystallization and cloudiness, bad taste, terpene insolubility, flavoring insolubility, muting of flavor/aroma due to use of a diluent, reasonable pricing, etc. We are releasing a new line of terpene infused and flavor infused Terpene Diluents. Lots of new, exciting, and unique flavors and aromas! How does this compare to mct oil? What I currently use to dilute distillate for carts. Excellent thank you, can you comment on the terpenes used? I understand the exact terpenes are part of your secret diluent formula😉 but many seem to be unpleased in hearing Squalene is in there diluent (I won’t point fingers at a specific company). I will be putting in another order here soon though, Strawberry Cough and Gelato have been great from you guys. Often MCT oil tends to mute flavors, so more terpenes may be required to achieve the desired flavor and aroma. Background flavors/aromas can be muted and MCT sometimes does not provide the smoothest vape experience. Our diluent was formulated to accentuate flavors and produce a smooth vaping experience. I appreciate and share your concern And I’m stoked you’re happy with our products you’ve tried! Our product does not contain any squalene. It does contain various types of terpenes including sesquiterpene alcohol. It does not contain monoterpenes. Stuff like this scares me. Just because something is GRAS doesn’t mean it’s safe to vaporize into your lungs. It really breaks down the chain of responsibility. Guy making carts doesn’t know what’s in it, person smoking it doesn’t know what’s in it. Then, if medical issues arise as a result of it, no one knows what the cause is because it’s proprietary. Vaping unknown compounds is a slippery slope. Especially if any of them are relatively novel and synthetic, it opens a lot of doors for unhealthy reactions. Here’s hoping the R&D people at Floraplex know what they’re doing. I understand your concern. The only thing we don’t disclose is the exact formulation. Suffice it to say it’s not just one substance that you can order elsewhere. It’s actually a proprietary formulation we spent quite a while working on. I’m sorry we cannot be more forthcoming. It’s possible we could be open to sharing the proprietary mixture with a large customer after signing an NDA. I am unaware of any company that lists their diluent ingredients if it’s more than just a single substance. I hope that helps alleviate your concern. I see your points, and they’re valid. I will say that our R&D team looked at toxicity data, inhalation/vaporization studies, and other research. And while absence of evidence is not evidence of absence, we believe our product is safe to inhale following the listed directions (and we haven’t found data suggesting otherwise). If someone is OK using MCT as a diluent they could feel OK using our product. Because while not MCT it’s as innocuous as MCT, and could be even more so if exogenous lipoid pneumonia is in the realm of possibles. 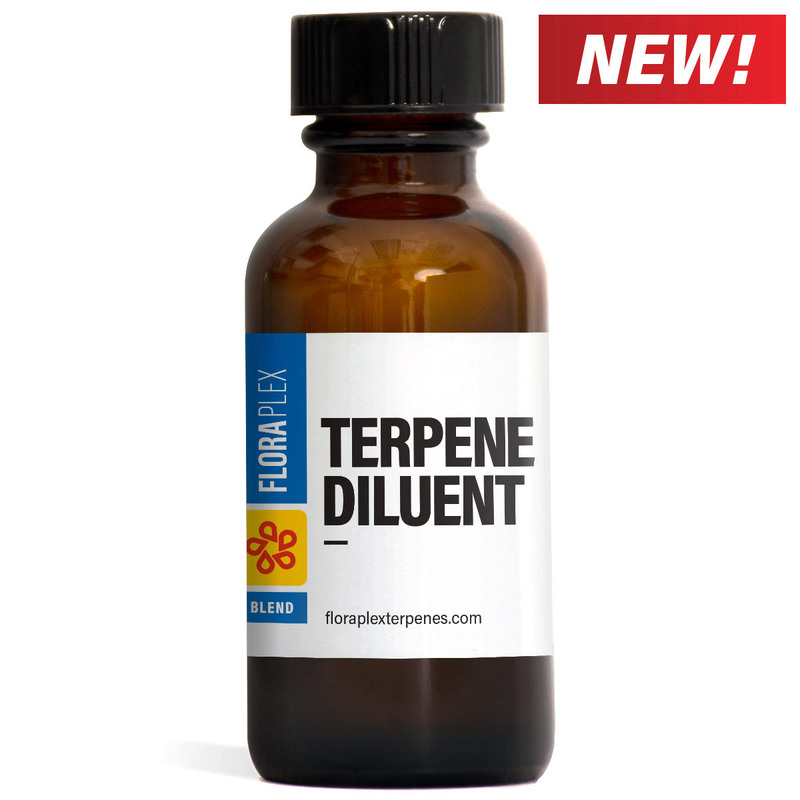 Our Terpene Diluent contains zero synthetic and/or novel chemicals. All ingredients are natural and are found in plants throughout nature. Interesting, I might have to give this a shot. BTW I never tell my customers what’s in my snake oil either. Placed an order but did not setup an act as you require a 12 character password. Never heard of that before. You really should have your webmaster change that. That’s why we’re giving away so much for free over the next two weeks (gallons, likely). We want people to try the free sample to see if they like it before they buy it. We wouldn’t sell snake oil because we strive to support and help our customers succeed. As the saying goes: a rising tide lifts all boats! Hey @Baked-All-Day. Great, thanks! We’re interested in your thoughts after trying our Terpene Diluent. I’ll speak with our webmaster about the long password. Thanks for the heads up.